Hello everyone 😏! Today we wanted to introduce one of our newer teachers and get her perspective on how she feels about Qkids. Meet Jaclyn 😎! I did my due diligence and researched the company. Yes, the job is real and right up my alley as a former English and ESL teacher. I applied and sent in my minute-long demo. Qkids responded quickly and I was scheduled within a week. The process was clear and smooth and only took a few weeks from start to finish. I couldn’t wait to begin my classes. I was so excited to journey on my next adventure and do something that has a work/home life balance. Hi everyone! We've collected and create a guide to help generate ideas and leads for you to gather referrals! We hope you like it. Getting More Referrals A. 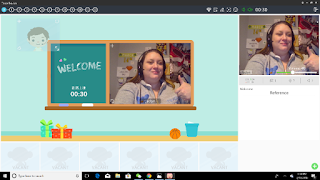 Post on social media This is an efficient approach to introduce Qkids teaching opportunity to your social network and friends. Share your best moments in class, funny scenes with students, etc. Tag friends and use hashtags. Popular platforms (not limited to): Facebook, Twitter, Instagram, LinkedIn, Pinterest, etc. B. Create blogs If you have talent or are passionate for writing, you can create blogs and write about your journey with Qkids as an Educator, Student, Stay at home parent, or as an Entrepreneur. Tell compelling stories from each unique perspective by using your own teaching experience as a Qkids teacher. Qkids Bootcamp -- Our Teachers First Trip! That's right. We're doing it again. But this time it's going to be bigger, better, and more inclusive than before! To let you guys know what's going on, we wanted to write about our prior camp experience and how it shaped us as a company. To begin, we began our company in 2015 with the idea of creating a vibrant, online atmosphere where kids and teachers could grow. We wanted to have a mutual understanding experience where thriving was easy and learning was facilitated with fun. 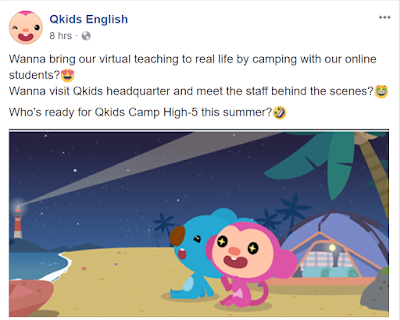 So, Qkids was created.